Belgium animal rights organization BE Vegan was delighted with the outcome of their summer vegfest, Vegan Summer Fest 2017, which attracted between 4,000 and 4,500 people. Entry to the full event was free, and an estimated 1,000 event attendees were non-vegan. 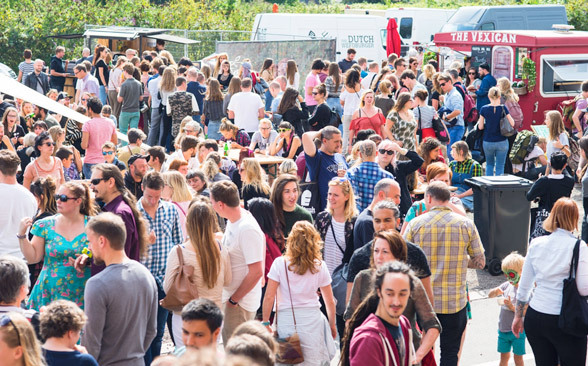 Read on to find out what made this vegan festival a great success. Entry to the event and all of its activities was free. Free events are appealing to the public and are a great means of drawing people who are curious to learn more about vegan living. This vegfest featured 60 vendors, four nonprofit organizations, vegan cooking demos, and a variety of talks covering topics such as plant-based sports and fitness, animal rights activism, and vegan advocacy strategy. The outside area of the venue played host to a DJ and provided a great space with a relaxed, fun atmosphere, perfect for friends and families to meet and enjoy good vegan food and conversation. Activists asked a small sample of event attendees about their current current dietary habits and reasons for attending the vegfest. Their responses were used as a basis for the estimate of non-vegans that attended this event. An estimated 4,000–4,500 individuals attended this vegfest, of which approximately 1,000 identified as non-vegan. 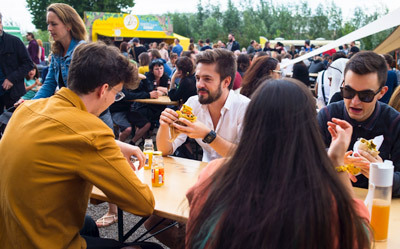 The event had a distinctly positive vibe and provided members of the public with an ideal environment for exploring and finding out more about vegan food and living. The event attracted the attention of national media, which served to stretch its reach beyond that of the day itself. BE Vegan used this event to launch their new veg pledge — tryvegan.be. The event organizers, BE Vegan, plan to build on the festival for next year, bringing an even bigger and better Vegan Summer Fest to Belgium, where interest in veganism is on the rise! Free entry to an event is not only a great way to attract more attendees to your event, but it's sure to appeal to members of the public who are veg-curious but not quite ready to dive in! Stepping stones are an important part of anyone’s journey to making behavior changes, and vegan festivals and fairs are an excellent way of providing them. Ready to apply for a Festivals & Fairs grant?